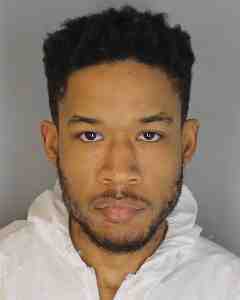 March 1, 2018 -- Westchester County District Attorney Anthony A. Scarpino, Jr. announced that Cynell Brown (DOB 01/13/1990) was arraigned in the Village of Tarrytown Justice Court Feb. 28, 2018 on a charge of Murder in the Second Degree, an A-1 felony, in connection with the shooting death of a Tarrytown woman in her home Tuesday, Feb. 27, 2018. Prosecutors allege on Tuesday, Feb. 27, 2018, the Tarrytown Police Department received a 911 call reporting a dispute at an apartment located at 177 White Plains Road in the Village of Tarrytown. At the time, they were given the description of a man fleeing the area. Upon arrival at the apartment, responding units located a female victim who was semi-conscious and bleeding from gunshot wounds. The victim was transported by Tarrytown Ambulance to the Westchester County Medical Center where she was pronounced dead. During the course of the police investigation a firearm was recovered. Brown was arrested in New York City at the Port Authority Bus Terminal that same evening and was detained by Port Authority Police until a team of police led by Village of Tarrytown Police Department arrived. Brown has no permanent address. The victim has been identified as 34-year-old Jessica Wiltse who resided where she was found. The case is being prosecuted by Assistant District Attorney Perry Perrone, Homicide Bureau Chief, and Assistant District Attorney Nadine Nagler.